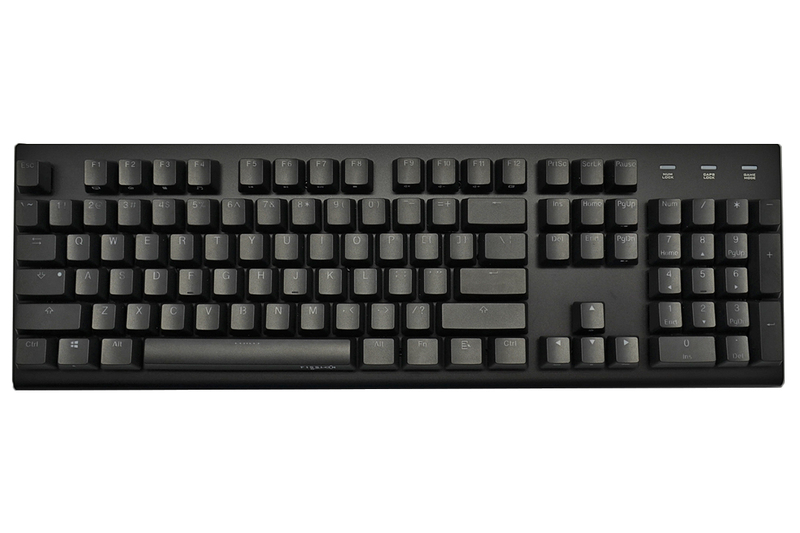 This was literally the best keyboard ever made. Outstandingly well designed and executed. An absolute joy to use. And one of the MK keyboards that has the most reviews, too. Yet MK doesn't make them anymore. The Fission is history. 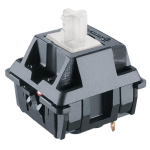 I purchased the Fission with a stiffer tactile bump given by the Cherry MX White switches. This keyboard gives such a satisfying experience for me. 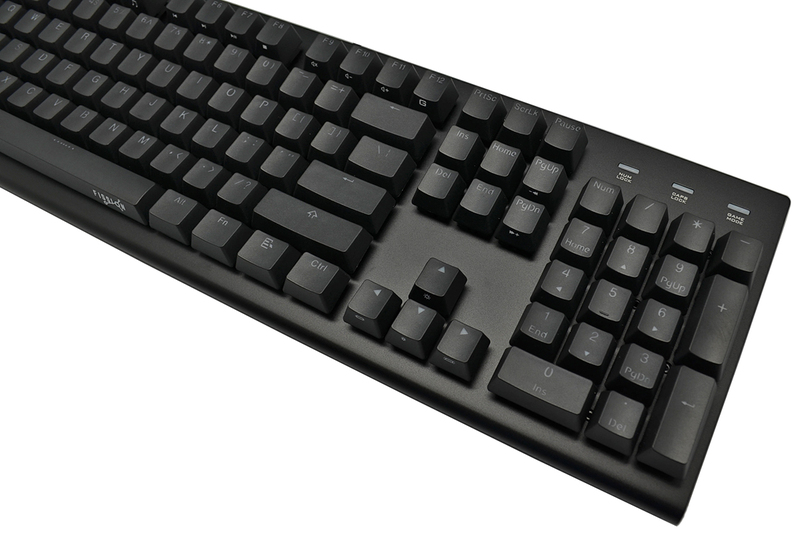 Up until now I have never felt comfortable using a mechanical keyboard at work. 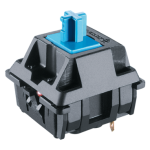 Most of my previous ones have had switches attached to a plastic base boards that would consistently releases a plastic smacking noise that would get amplified by the base board vibrating with every key stroke, even with o'rings added. The Fission on the other hand has a firm aluminum construction that not only gives it the right amount of weight to keep it from sliding across my desk, but also effectively reduces the overall noise level of key presses even without adding o'ring dampening. Sure, its typically louder than a membrane keyboard, however its not loud enough for anyone outside of my cube to hear. This is the perfect keyboard for work. 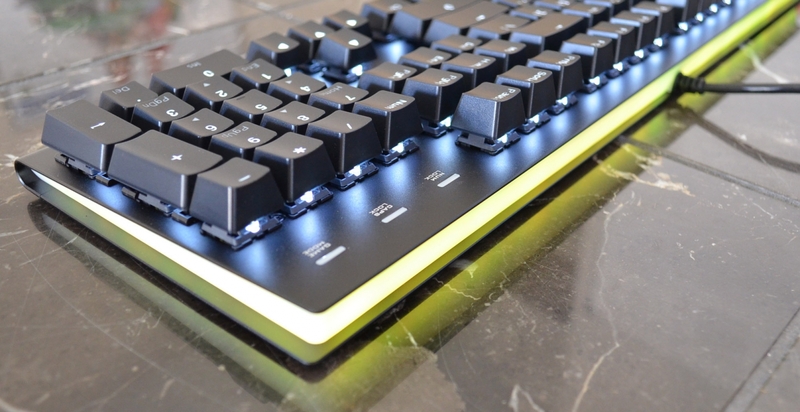 The RGB lighting effect around the keyboard is a very nice touch. The lighting effects on the actual keys are really smooth and satisfying, and the aluminum chassis feels very high quality. The tactile bump in the Cherry MX Brown switches feels great, and the switches aren't too loud. This looks like a keyboard that i'll be using for a very long time. Was a very loyal Ducky customer but found the last generation trying too hard, and was also looking for something simple to clean. Took a chance on Fission and this keyboard and Blue Cherry Switches. Out of the box impression was that the keyboard, while backlit, wasn't bright enough and that the "clicky-ness" of the BCS wasn't strong enough. Soon realized this was just me getting used to a new keyboard. Now find the BCS to be in the "goldilocks zone" and the keyboard brightness, while it could be better, it just fine. Moreover, the design and price far outweigh any concerns. Very happy with this keyboard. Legit. Once you game on these silvers no way I'm going back to blacks or reds. Bought the keyboard not knowing how MK brand keyboards are. overall great keyboard, however, when playing CS GO, if I try to strafe back and forth, I sometimes lock positions and even if I press the other direction, it doesn't allow me to move that direction. ex: pressing A,D,A,D (left, right, left, right) really fast will make me only walk to the right briefly. Definitely a solid keyboard. The blue switches feel great and the stock keycaps are also really nice. The selling point, the side-RGB lighting, is pretty cool, although I do wish there were more color options. I would definitely recommend this keyboard to anyone considering a full-size KB. 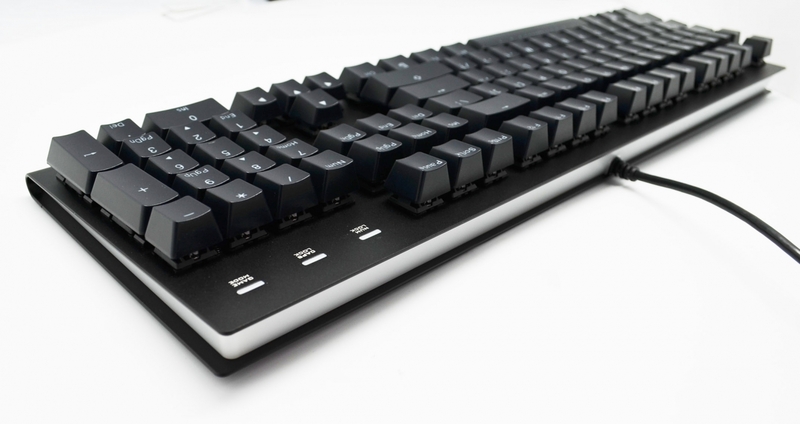 Lots of keyboards this size with good quality switches would run almost $150, but this is a little cheaper and has that unique side lighting This will definitely stand out and feels really nice to type on. This is my second mechanical keyboard and my first with linear keys. 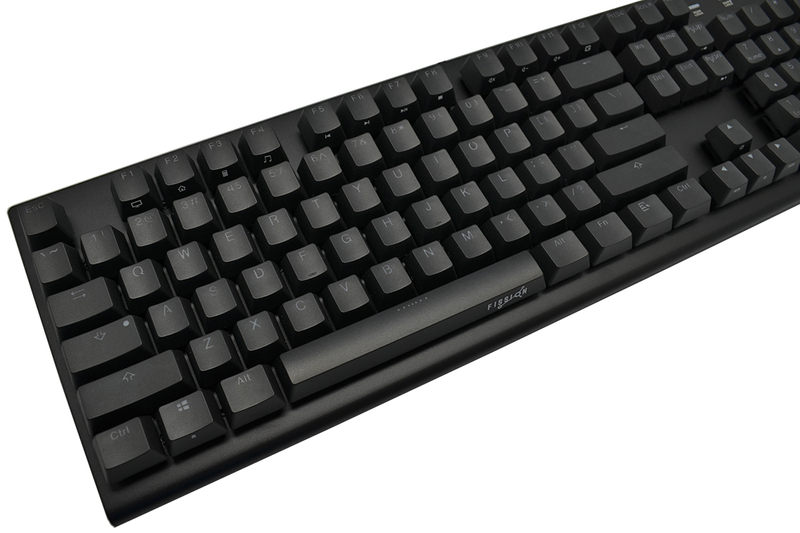 I couldn't take my clacky home keyboard to work, so I got this one so that I could type without making others want to kill me. Honestly, I'm a linear convert now. I can bounce around the keyboard a lot faster. It did take a couple hours to get used to it and not bottom out every key, but I have adjusted and I'm typing faster than I do on any other keyboards that I own. It is also great not to have to worry about software because all functions are built into the keyboard. The lights are fun, but the silent switches and discrete aesthetic were my main considerations in buying it. Overall, I would definitely recommend. I have only one criticism: the numlock, capslock, and game mode LEDs are way too h*ckin' bright! I put about 3 layers of blue painter tape over them to tone it down to a reasonable level. I would suggest doing something similar, unless you want a night-light on your desk. Solid construction, nice feel when typing. I'm used to typing on a Das Model S and a CM Quickfire, both with Cherry browns. Honestly, the build quality seems better than either of my other mechanicals. The case is mostly metal with very little plastic so key presses are solid and and seem quieter. These keycaps are nice, they have a good weight and feel. The lighting isn't even on all the keys but this is an issue with many boards. The stabilizers are smoother and provide a more linear feel like Cherry's. The secondary/accent lighting is a nice perk, not only for looks, but it lights my keyboard drawer. I adore this keyboard. Replaced the keycaps with PBTs and it has such a fantastic understated look from the top. Really clean, no branding whatsoever. Feels super solid, has a nice heft to it. The RGB back bar is not super bright with the lights on, but the diffuse is perfect in the darkness and looks great even when all the LEDs are off. Amazing kb! Solid, well build, realy quiet - tnx 2 silent red switches! 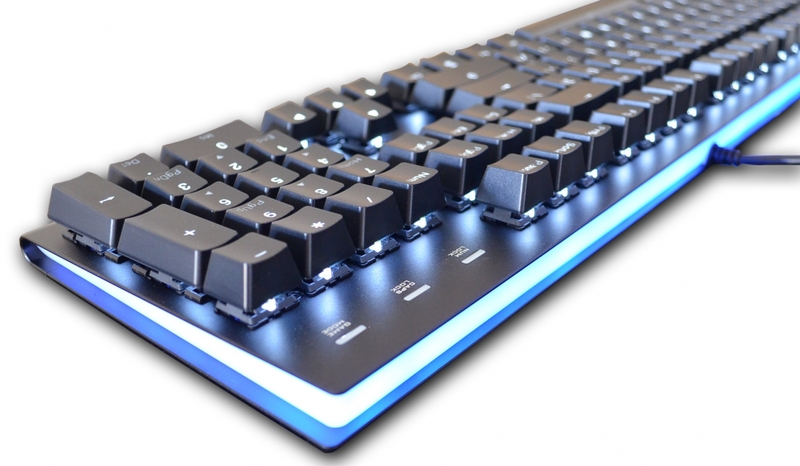 Very nice typing and gaming, this is it what i need for all time and cases. And of course imo this is the best ratio - price/performance. Okay, so I was a bit nervous after not having heard of MK before. However after hearing that is was mechanicalkeyboards.com's retailer for their own keyboard I was interested. I was even more interested when I found out that ducky did the manufacturing for them and that they were genuine cherry switches. I can say that the keyboard build quality is definitely top notch and lacks nothing when it comes to durability. There is no flex to this thing at all and the height adjustments are very good as well. I feel like this design is a nice one when it comes to aesthetics. I very much enjoy the perimeter led strip transitioning, while the backlighting for the keycaps is very similar to the patterns found on the ducky one my buddy has at work. The keycaps so far, even though they are abs, are holding up very well compared to my coolermaster quickfire tk that I had previously, whose abs keycaps developed a shine very quick. I like that the keys and the tops of the switches almost feel as though they are sitting "on the top" of the plate. They are well protected, but also when it comes to using an air compressor I feel like I am able to keep this thing nice and clean. Long story short, I feel like you would be hard pressed to get a nicer all around keyboard for this price. Would highly recommend. Received my fission a couple of days ago. Pretty solid leyboard. Good weight and nice aesthetic. I chose cherry mx white because I wanted to try them out. Enjoyable switch. A little firmer than cherry blacks with nice tactile feedback. Clicky as well but not as much as blues. The lighting options are nice. Don't really use the different lighting modes so can't really comment on those. LEDs are good. The contrast you can have with the keys and the peripheral lighting meshes well if you have case LEDs or other accesories with lighting. Overall, I'm satisfied with the product and would recommend. The only issue I have is that the lighting is inconsistent through the keycaps. Some letters have a noticeable dark and light spots. I use this in an office environment so I keep the key lighting at a minmum and the RGB effects turned off. The only way I would replace this is if you released a Ten Keyless model.